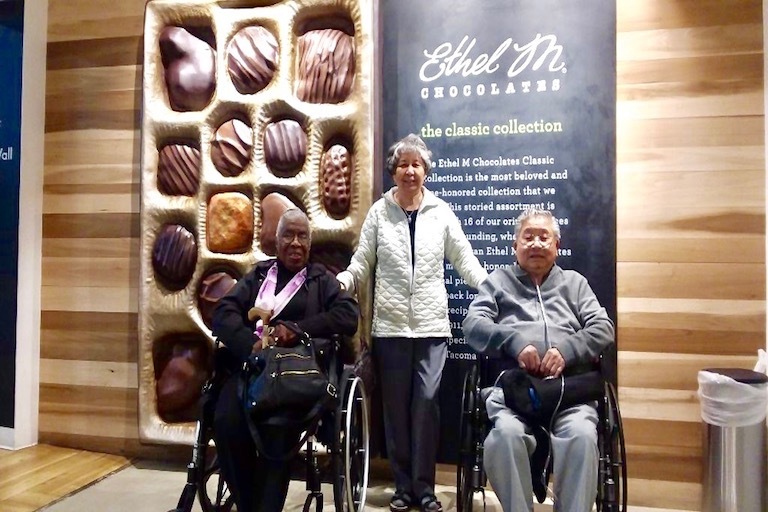 On Jan. 7, 2019, seven residents from The Bridge at Paradise Valley in Las Vegas took a sweet trip to the Ethel M. Chocolate Factory and Botanical Cactus Garden in Henderson, Nevada. 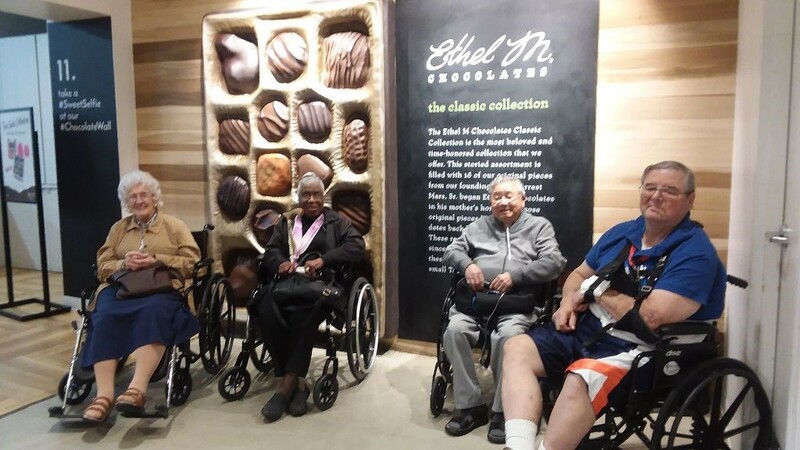 There, residents got to take the self-guided tour and see firsthand how Ethel M. craft chocolates are made. Chocolatiers dipped caramel apples and made pecan brittle as they walked along the viewing aisle. 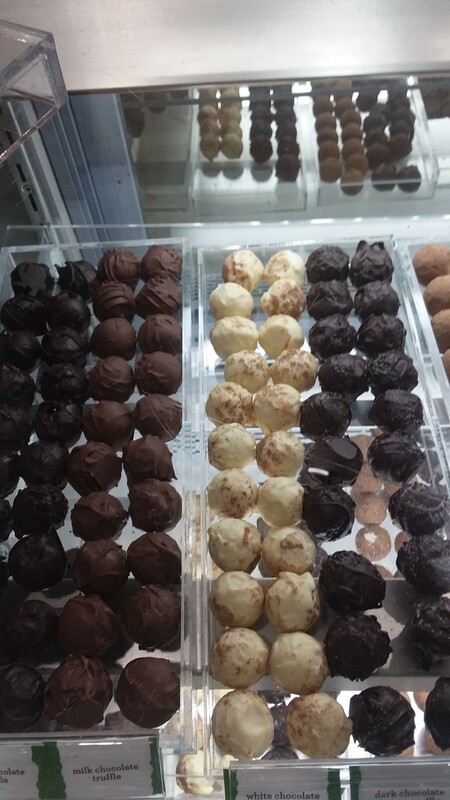 Of course, seeing all that chocolate can make a person’s mouth water, and the tour came with the chance to taste a selection of the goodies – milk chocolate, dark chocolate, pecan brittle and satin crèmes. 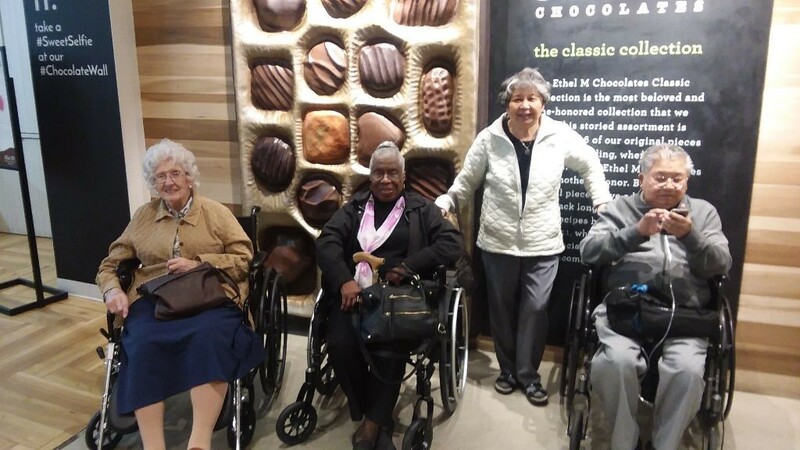 Residents stopped by the gift shop to find souvenirs and more chocolate to take home with them. 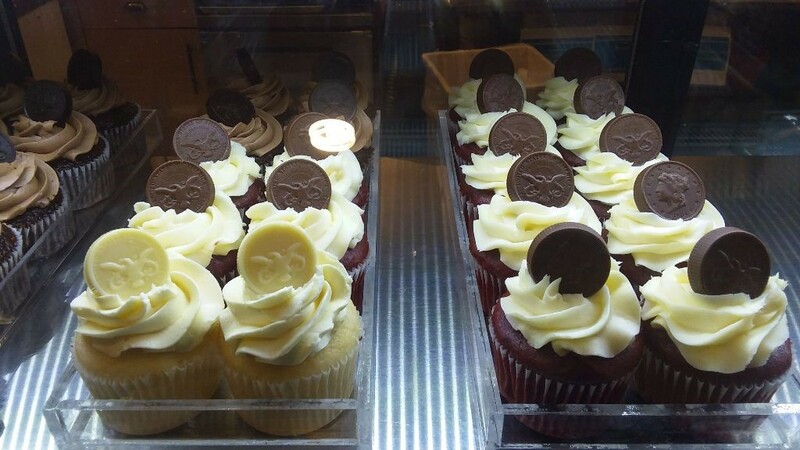 Chocolate wasn’t the only attraction at the factory, however. Residents also had a good time walking through the three-acre cactus garden, the largest one in Nevada.